When Disney decided to make the 2014 movie Maleficent, I was skeptical, but then I saw the perfect casting of Angelina Jolie, and I become hopeful. While Jolie was amazing, I wish the rest of this film could have pulled its weight a little. This movie grinds to a halt when she is not on the screen, luckily since she is the star that is not often, but still it keeps this movie from becoming great. 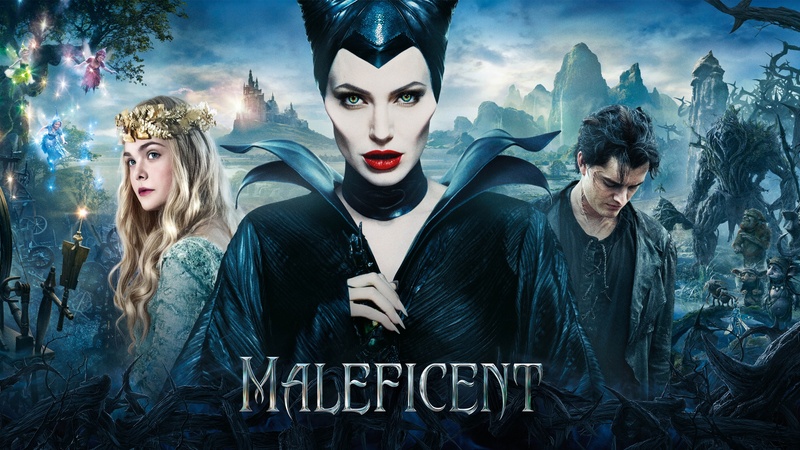 The film is a retelling of the Disney version of Sleeping Beauty, but instead of following Aurora, we fallow the titular Maleficent, and that change of focus changes the story quite a bit. Instead of a villain, Maleficent becomes a tragic hero, and the forlorn King Stefan takes the role of evil doer. This shift in roles make sense considering following a straight up villain would be a hard movie to write, let alone market to families, but I felt it was unfortunate. Maleficent is one of Disney’s greatest, if not the greatest, villains of all time, so to cast her as a hero made her loose some of that mystique. Now she was simply betrayed and misunderstood not dastardly and wicked. Still that is not the main strike against this film, no that would be its pacing issues. There is a lot of nothing happening in this film. It takes awhile for Aurora to grow up, and for her and Maleficent to bond. That would be fine if it was interesting, but even though it spends so much time doing it, it almost seems like it is a montage and glosses over it at the same time. It doesn’t dig deep enough to excuse the running time. The other problem is that beside Jolie, no other character is given anything to do. Elle Fanning as Aurora just gets to be chipper and wide eyed. King Stefan played by Sharlto Copley gets to be crazy and evil. No one is given anything to work with. They are just window dressing for Jolie’s Maleficent. Jolie was wonderful, so it almost saves the film. It did for my wife, and a few other friends I know, but it didn’t quite do it for me. Maybe I was just hoping for something else. A true villain movie, but whatever the reason this movie could never find its footing. Considering how successful this movie was, I am sure Disney will try again with another villain, and maybe they will figure it all out next time. Previous PostPrevious Well We Finally Know Supergirl’s Identity! Next PostNext The New Fantastic Four Trailer Is Out!